Scent: Fresh, floral, sweet, slightly fruity, fragrant yet delicate. Benefits, Indications: Heart arrhythmias, cardiac problems, high blood pressure, anxiety, impotence, arterial hypertension, depression, mental fatigue, hair loss, labored breathing, insomnia, palpitations, insect bites, tachycardia. More Info: May help balance male-female energies so one can move closer to being in spiritual attunement and allowing greater focus of thoughts, filtering out the ever-present negative frequencies. It may help lower blood pressure, calm rapid breathing, balance equilibrium, ease frustration, balance heart function, help impotence and intestinal problems, shock and skin problems. It is used in hair preparations to promote thick, shiny, lustrous hair (it is also reported to help control split ends). Yang-ylang oil has a euphoric and sedative effect on the nervous system and helps with anxiety, tension, shock, fear and panic while the aphrodisiac qualities is useful for impotence and frigidity. 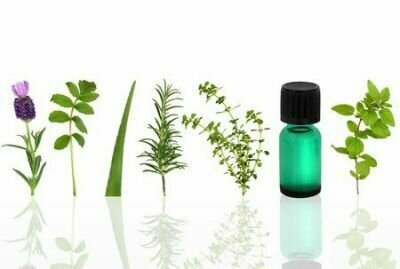 Precautions: It is classed as a nontoxic, non-irritant and non-sensitizing oil, yet could cause sensitivity have been reported and excessive use of it can lead to headaches and nausea. Chemical components of the volatile oil from leaves of Cananga odorata and its anti-oxidant activity.